Home » Altcoins » What Is Lykke Coin (LKK)? What Is Lykke Coin (LKK)? Lykke Coin (LKK) is the cryptocurrency of Lykke. 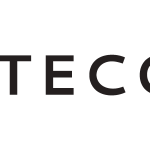 The FinTech company is based in Zurich. The project was initiated in 2015. The cryptocurrency is primarily used as a part of the crypto platform. On the platform, users can trade different currencies against each other. A Lykke coin currently has a value of about $0.35 US dollars. Lykke has a total market capitalisation of USD 92 million, of which almost half a million dollars are traded daily. Nearly every financial instrument in the world can be listed on the Lykke Blockchain in the form of a Colored-Coin-Token. Colored coins act as the digital equivalent of a real asset. Colored coins holders can use them to buy or sell assets. The coins are always connected to the offerer and are covered by the underlying asset, depending on what is to be traded. The special thing about the coins is that they only serve as a digital unit of the real asset. A Colored Coin can be used for an ounce of gold, for example, or for the right to a song. Coin holders signal their ownership of a Colored Coin by attaching their signature to the coin. Lykke has already launched two types of Colored Coins, for music rights and CO2 certificates. Whoever owns the Colored Coin for a music title has the rights to it and can earn money with it. In this sense, the Lykke platform acts as a platform for exchanging value, where everything can be traded that is valued. In this way, regular companies can list and trade their offers piece by piece on a blockchain. The Colored Coin Protocol also includes a security feature for international trade, the International Securities Number (ISIN). Lykke uses distributed ledger technology for macroeconomic purposes. The trading platform is based on both the Bitcoin Blockchain and the Ethereum Blockchain. All Lykke platform processes are connected to the Matching Engine. Investors can use them to create Colored Coins, which are then converted into offers via the Lykke backend. The backend, in turn, transfers the transactions to the blockchain. The blockchain adjusts trading in Colored Coins to the market value of the real asset and updates the market positions for Lykke’s Wallet holders. It forms the interface between wallet holders and the market. Users of the wallet can connect to the matching engine and send purchase or sale instructions. The matching engine simultaneously sends current odds to Wallet holders. In this way, it is possible to synchronise digital assets in the form of Colored Coins with real assets such as song rights, real estates and luxury goods. Lykke’s software is based on an open source system. Lykke wants to establish a global marketplace for asset trading based on the blockchain. Blockchain technology ensures that the platform can function decentrally, transparently and securely. Lykke offers every user the ability to trade assets worldwide quickly and securely. Lykke does not charge any fees, which is an advantage over established institutions. You can’t buy it directly for fiat on any exchange. You can choose the most popular cryptocurrency exchange for your region and but BTC there, then trade it for LKK on exchanges. Learn here how you can instantly convert altcoins to bitcoin and vice versa. Our recommendation is always check if Coinbase is available for your country and buy there – as it is by far the safest and best regulated bitcoin exchange. Coinbase is legit and safe bitcoin exchange. What Is Bytecoin Coin (BCN)? 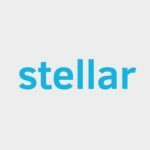 What Is Stellar Lumens Coin (XLM)?